How about me going to the $0.99 Store to buy some bulbs that are "Made in Taiwan"? Would that be the same? Chance em dude.....the worst that can happen is you loose $0.99....LOL!!! My SMD LEDs are like $30 a pair. OUCH!!! 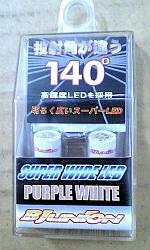 For the stock HID bulbs...the most white is the best....probably the BJunion Superwhite LED. You can get those in Taiwan. Great post Pete - any ideas on longevity of the LEDs such as the above? LEDs are typically great, but thought I'd ask. I'm replacing my front headlights and with the supercharger it is nearly impossible (make that impossible) to get to the bulbs on the passenger side with the blower and IC piping. I want whatever I put in there to last a LONG time. My Polarg M6 finally blew in the front passenger side and gave me the push to get new lights (mine are fairly beat up despite cleaning with a PC and Meg's) since the front bumper will have to come off to replace the bulb anyway. Any ideas on where to get the Bjunion superwhite in the US? Good luck Dave. I've been looking like a madman for them too. hahhaa i know people are going to hate me, but why not just put in m4? 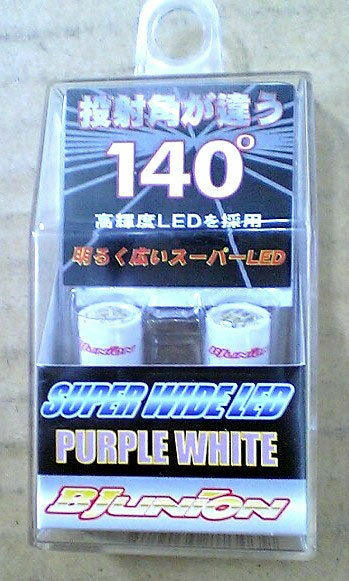 Dave....these high quality SMD LEDs should last awhile. For $30 a pair.....they better!!! Yah....the cheap ones....ie: 6-LED had some quality control problems....a few burnt out after a several months. I have no clue where to get Bjunion SMD LEDs in the US. I've been searching high and low as well. I got mines from Taiwan...when my bro went to visit earlier this year. If you got 4300K HIDs....the Bjunion Superwhites will be perfect...its really white. 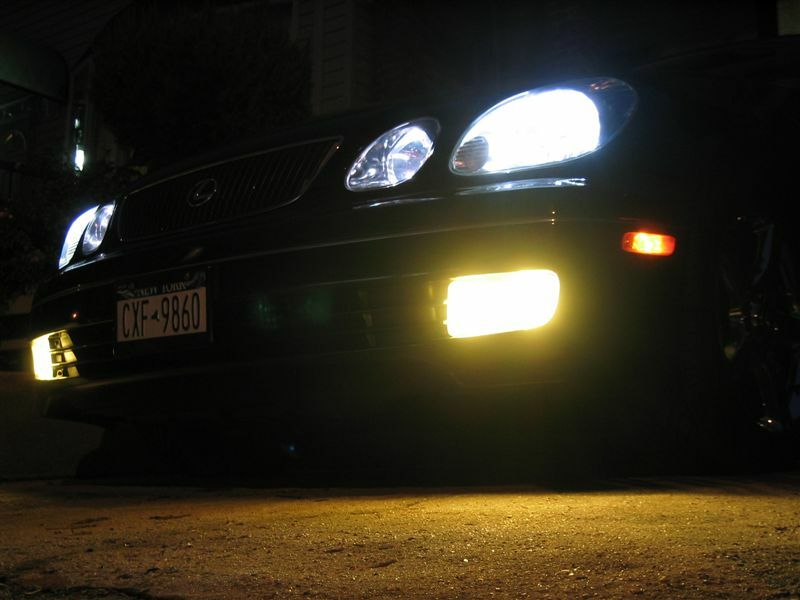 If you got 6000K HIDs....i think the Bjunion Purple/Whites will match the best. I have NOT seen it yet, but Im trying to get my hands on a set of these. I already told my bro to get me some when he visits Taiwan again in April 2005. He's a car nut too....and seems to know which store to get them from in Taiwan. Last edited by PHML; 10-05-04 at 01:43 PM. Here's a pic you posted up awhile back in another thread. If I'm not mistaken, M4 is a traditional bulb (just like M6), not LED right? I've been through three sets of M6s (over the last 3 or 4 years) and when I put the new lights in I can't afford to pull off the front bumper every year (or don't want to pay to) in order to replace the bulbs.. LEDs *should* have a much longer life. I always thought my M6's were a decent match for the 4300K, maybe a little bluer. I liked the look, just don't like it when they burn out & definitely don't like trying to get that big *** bulb into the socket. Last edited by DaveGS4; 10-05-04 at 09:26 PM. Last edited by rominl; 10-05-04 at 09:46 PM. 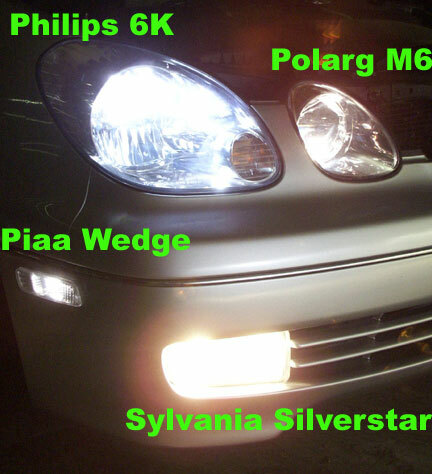 For those interested, here's a picture of the Polarg M4 with the OEM HIDs.